Approach weight loss supplements that make unsupported claims with caution. Certain amino acids, particularly phenylalanine and branched-chain amino acids, are widely marketed for losing weight. However, upon closer look, it appears the evidence to support these claims is very limited and outdated. As constituents of protein, amino acids are found in many foods in your diet. But until solid research is available supporting the effectiveness of specific amino acids, it's best to stick with proven weight loss strategies. The good news is that you can incorporate whey protein into your diet to aid weight loss. Phenylalanine is an amino acid commonly marketed for appetite suppression. However, as with BCAAs, the evidence is limited and outdated. Phenylalanine may play a role in controlling appetite, but the only available evidence was published in the '90s. A study appearing in the June 1994 edition of the journal Metabolism reported that phenylalanine stimulates the release of the appetite-suppressing hormone cholecystokinin. Study volunteers who took phenylalanine 20 minutes before the test meal ate significantly fewer calories and reported increased feelings of fullness than those taking a placebo. If this holds true today, phenylalanine may offer weight loss benefits through its potential influence on appetite. However, more recent research yielding similar results is necessary to know for certain. In cheese production, whey, the watery portion of milk, is separated from the curd. Whey is a high-quality protein you can use to aid weight loss. You'll find whey protein supplements, typically in powder form, lining the shelves of your local health food store. Whey is rich in nutrients such as calcium and bioactive peptides, and it contains essential amino acids as well as branched-chain amino acids. When combined with a reduced-calorie diet, a whey protein supplement may increase fat loss and help retain lean muscle, according to a study in the March 2008 edition of the journal Nutrition and Metabolism. In the study, a whey protein supplement caused more weight loss than diet alone. 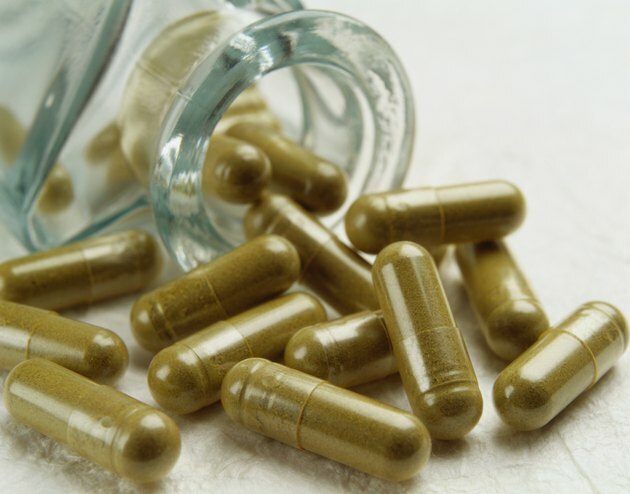 If you feel you need the extra boost of a weight loss supplement, you'll want one that is proven effective. Supplements that work aren't magic bullets allowing you to eat whatever you want and drop pounds. They still require you to clean up your eating habits and incorporate an exercise program. Consult your health care provider for recommendations that will be safe for you. Orlistat is an FDA-approved, non-prescription supplement that aids weight loss by blocking some of the fat in your diet. Another option is African mango extract. Multiple studies, including one published in the March 2009 issue of the journal Lipids in Health and Disease, found it caused weight loss and improved cholesterol.